Welcome to Casa Viento Celestial, which is proudly managed by North American Standards (Nasplaya). 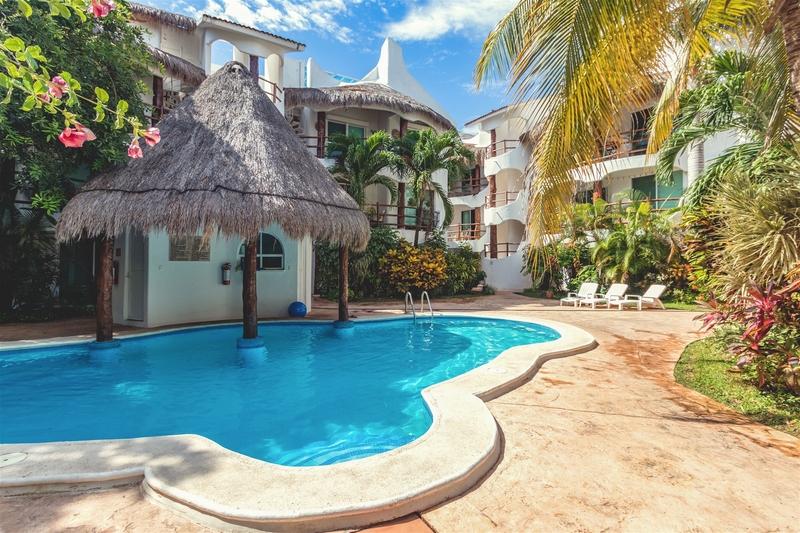 Casa Viento Celestial is a fabulous large 2 bedroom, 2 bath condominium with fine furnishings, highlighted with a dash of color and zest in the true Mexican spirit of celebration and relaxation. The condo has high quaility furnishings, sleeps up to 4 guests and includes 2 large bedrooms with 2 full baths, living room, sitting area, tiles floors, fully equipped kitchen with granite countertops, washer, dryer, Satellite TV, DVD, and air conditioning in all rooms. While sitting on your spacious condo balcony, enjoy cold beverages and views of the refreshing pool, palapa and common areas, or better yet enjoy the pool up closet - it is only a few steps away. Casa Viento Celestial is located in the Los Lirios Condominiums (the Lilies), a tranquil and popular subdivision of Playacar Phase II. 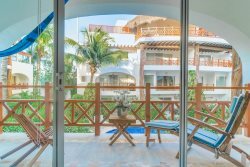 The community is secured with a guard gate and is accessible from the highway or easily from downtown Playa del Carmen. Playacar Phase II hosts the only championship golf course in Playa del Carmen, tennis, shops, a bird aviary and miles of walking paths. - Rentals of 1-12 months: Rate is plus electricity, TV, internet and water and a $1,000 USD security deposit.